This prefatory to my Daily Times’ odyssey will not be complete without mentioning Mr. Tunji Oseni, the most influential person in my media employment profile as captured in the following lines. In the heyday of the old Daily Times, I was privileged to be the Features Editor. 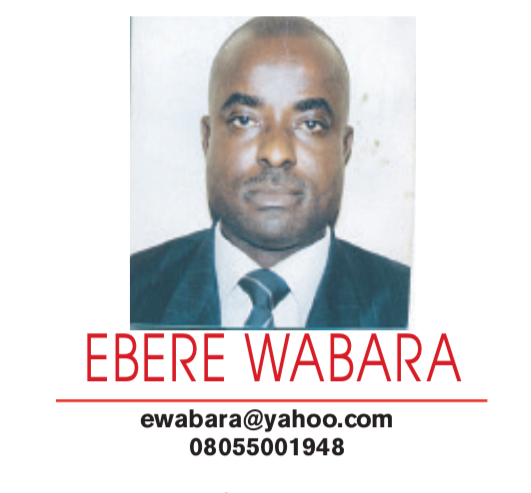 From there, I was redeployed to Owerri as Acting Area Manager (South East and South South) — the youngest person to occupy that noble position in the robust history of the Daily Times conglomerate of yore. Before this elevation, I had functioned virtually in all editorial and production capacities. The only exception was the editorship of the medium. This happened because I left abruptly—otherwise I was eminently qualified. Blow your own trumpet! My editor then, brother and pal, Ogbuagu Anikwe (now Enugu State Information Commissioner), and Edwin Baiye (GM, TPD) know why I resigned. The late Onukaba Adinoyi-Ojo (the MD) got infuriated and redeployed me as Night Editor over my full-page analytical feature story against the takeover of Benue Cement by Alhaji Aliko Dangote, whom I never knew was his benefactor! This has remained one of the illimitable drawbacks of journalism practice in Nigeria. From Owerri to Times Journalism Institute, Iganmu, as a senior lecturer: I never taught for one day before I was recalled to Agidingbi, Ikeja, as the first and last Front Page Editor by Barrister Ndu Ughamadu (now GGM, Public Affairs, in NNPC) who had just been appointed the Editor of Daily Times — the second and last Business Times Editor to edit Daily Times after Chief Onyema Ugochukwu. Prior to this editorial revolution, the trajectory was to move from the editorship of Sunday Times to Daily Times, but when a whiz-kid emerged years after Chief Ugochukwu, the conventional sequence changed to the chagrin of most employees! It all had to do with Ughamadu’s scholastic attainments, quintessential professionalism and distinction in OPEC reportage. As for me, I moved on to The Post Express, New Age briefly, The Sun, Equitorial Trust Bank, Globacom, returned to the bank, berthed fleetingly at Sterling Bank—all at managerial levels—before resigning and teaming up with Dr. Orji Uzor Kalu, the most popular politician in Nigeria and one of Africa’s 50 richest men, according to Forbes. This prefatory to my Daily Times’ odyssey will not be complete without mentioning Mr. Tunji Oseni, the most influential person in my media employment profile as captured in the following lines. Other key players in my three-decade-plus journalistic sojourn would be mentioned in the concluding edition shortly. It is difficult to believe that it is more than a decade that my mentor left these shores. If he had been alive I am cocksure that our relationship would have blossomed to unimaginable heights. Of all friends of mine that have gone ahead of us, this man meant most to me because he contributed inestimably to my professional ascent hence this especial remembrance tribute. I still find it an inconsolable reality that my master, chummy and ardent fan of my column, Wordsworth, has taken a glorious flight out of this gloomy space. I am pained the more on grounds of our inexplicable circumstances that made it impossible for us to meet in almost two years, long before his death! This consummate journalist and media manager meant so much to me that words cannot capture. The only way for me to commemorate his painful exit is to cite five memorable encounters out of the legion we had together on several platforms of brotherly mutuality. On an occasion when some cliquish elements in the old Daily Times, where he was the managing director, ganged up against me, it took the swift intervention of this detribalized man of profuse humility all the way from our 3, 5, 7 Kakawa Street, Lagos, corporate head office to extricate me from their clannish and bellicose stranglehold in Times Publications Division, Agidingbi, Ikeja. Shortly after that unwarranted belligerence, he unprecedentedly presented me to the company’s shareholders at the 70th AGM for my exemplary contributions to institutional objectives and contemporaneously gave me a cash-backed award for professional excellence through my quintessential language column. He really appreciated my unparalleled productivity and profundity of skills. When he became former President Olusegun Obasanjo’s Senior Special Assistant (Media & Publicity) in 2001, he never failed to invite me to executive events in Abuja— in my capacity as the editor of The Post Express—alongside select reputable editors. At one of the presidential media chats in which I participated, he stood at the last gate at Ota Farms where the special session held waiting anxiously for me because I arrived extremely behind schedule due to bad roads and concomitant traffic bottlenecks. After the media chat, he visited me in my office in Apapa months later to solicit my support for government’s initiatives and also establish the imperative need for me to be less critical of the Obasanjo administration. The last meeting I had with Egbon Oseni was when I rode with him in his official car from Aso Rock, after an exclusive presidential session over dinner with about 10 title editors of frontline national newspapers in September 2002 or thereabouts, to NICON NOGA Hotel where we were lodged. All through the journey from the seat of government to the hotel he kept expressing bitterness over my hyper-criticisms of Obasanjo. I promised to soft-pedal, which, alas, I never did for obvious reasons! (To further prove our amity, while we used his vehicle, colleagues of mine were taken in other vehicles back to the hotel). How would I have known that it was the last goodnight as the man of urbanity bade me farewell at the NICON-NOGA Hotel lobby? I can vividly recollect it all as if it were yesterday! My unassuming boss, may your gentle soul rest in peace. You were nice to me in and out of Daily Times. I have not forgotten the aristocratic reception you accorded me the day I visited you at your Ikoyi, Lagos, home. How can I also forget your fondness of my rugged Volvo 244 when only a few people had vehicles? Your love for me was exceedingly great. Till we meet again to part no more, continue to rest in peace, for you were a good man. I will never forget you, fine brother. We exchanged goodnight years back in Abuja without any inkling that it was going to be the last! What difference it would have made…I commit you to God’s bosom. Again, adieu! Someday we shall meet to part no more! God shall continue to grant your family the fortitude to bear your great demise and comfort the rest of us your relatives, colleagues and friends. For me and my legion of followers in Lagos, Akinwunmi Ambode is the exceptional man to take Lagos to paradise. The shoes will be too big for any other fellow apart from our focus today! Ambode is the most capable person to dust other parties’ fringe candidates, who are mere pretenders to the competition. The results next year will confirm this standpoint. This candidate of mine, who is superlatively passionate about Lagos, was born on June 14, 1964. In 1981, he recorded the second best result in HSCE in West Africa and proceeded to my alma mater, UNILAG, where he graduated in accounting at the age of 21. Three years later, Ambode completed his master’s degree in accounting on Federal Government’s scholarship and also chartered. This fellow ‘Great Akokite’ must win the governorship election in 2019 on grounds of his credentials, administrative pedigree, credibility and unprecedented transformation of Lagos.